There’s just something about hair-loss that cries out for an explanation. We don’t associate, say, back pain with the mental strain of our jobs, or a demanding spouse, or unruly kids. We might say that they’re – figuratively speaking – causes of pain in another part of our body, but that’s another story. But hair loss? For starters, it can be one of a man’s greatest fears. You rock that impressive head of hair in high school – check out those graduation pictures – but can’t help noticing your balding father. You’ve seen the future, and it’s not necessarily kind. You’re not alone, of course. Studies have shown that well over half of all men will have experienced some reduction in their hair by the time they’re 35. And you’re right there with them, wondering “Why me?” On the other hand, you’re also living in an era in which bald is beautiful, and you may be perfectly OK with your hair-free dome. There’s certainly nothing wrong with that. But if you’re one who needs answers, who wants to get to the bottom of why you’re “cursed” with hair loss, you can, at least, be comforted in knowing that it wasn’t because you grabbed the short straw and are just damned unlucky. Nope, there are reasons why men go bald, and we’re here to examine some of those. 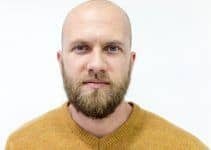 The Dreaded MPB: Why do men go bald? 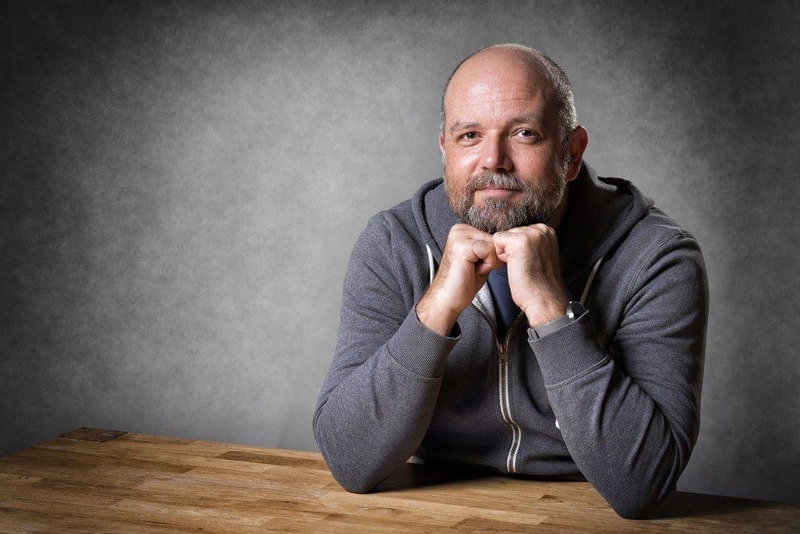 Male pattern hair loss, or baldness, isn’t a pleasant diagnosis. It’s perhaps better than chronic halitosis, but we’re talking hair here, and MPB (scientifically known as androgenetic alopecia) is serious business. And studies show that MPB can usually be attributed to three factors: genes, hormones, and age. If we’re seriously focusing on the luck of the draw, then it probably applies to your gene pool. Many doctors argue that thinning hair is almost always caused by genetics. Those hair follicles on the top of your scalp have a DNA blueprint from both mom and dad, with a receptor that allows DHT (dihydrotestosterone) to implant a receptor on individual follicles which brings on baldness. Let’s take a closer look at DHT – that dreaded hormone that thins your hair without sympathy. Again, men who are predisposed to male pattern baldness inherit hair follicles that are over-sensitive to DHT. When testosterone is converted to DHT, it shrinks hair follicles. In turn, this results in thinner and finer hair until hair growth eventually stops altogether. The good news? Well, the hair follicles don’t simply die off, so hair growth may still be possible after most, or all of it, is gone. Bald men have often misconstrued DHT’s role in their hair loss to suggest that baldness is simply a matter of too much testosterone. As men, we like testosterone – bring it on! Alas, the fact is, men with male pattern baldness aren’t any more well-endowed with testosterone as other guys. Their hair follicles, however, are just more sensitive to hormones. As a curious aside, men who have been castrated produce no male hormones and thus do not become bald, yet have very little hair on the rest of their body. But, we don’t want to go there. Some things just aren’t worth sacrificing. DHT is certainly worth more than just a cursory look considering its important role in male baldness. Here are some others things you may not know about DHT (but were afraid to ask). DHT is vital for the in-utero development of the male genitalia. Hair loss medicines like Propecia (finasteride) can help diminish DHT, and in turn, follicle miniaturization. DHT packs a punch – it’s five times more powerful than regular testosterone. We wouldn’t have our male characteristics without DHT. Our deep voices? That’s DHT. Our hairy chest and larger muscle mass? Hats-off to DHT. There is no known role of DHT in female development. It’s a guy thing. Nothing too complicated here: as we get older, our rate of hair growth slows. To become older is to experience hair loss, some of us more gradually than others. 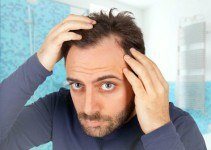 Understanding male pattern baldness means understanding hair growth. 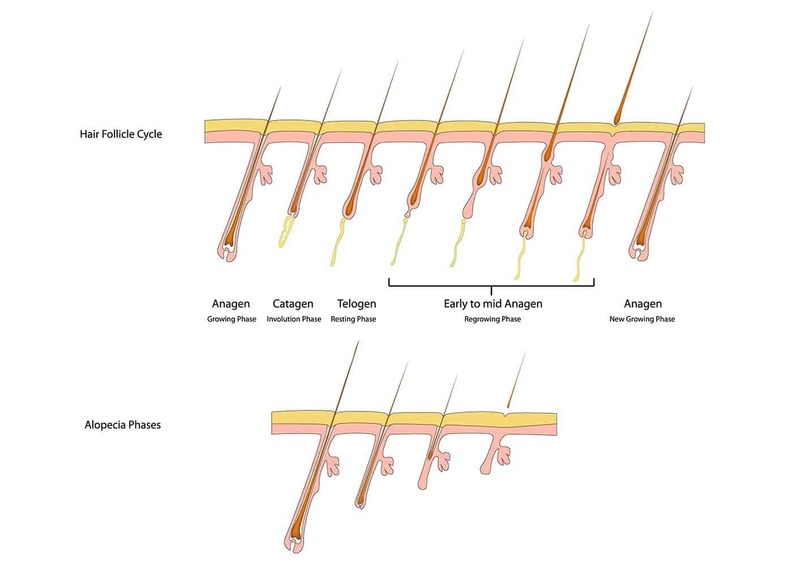 Let’s start with a look at the three stages of hair growth: anagen, catagen, and telogen. This is considered the growth phase of hair. Your hair can remain in this phase from two to six years. The longer this phase lasts, the longer the hair. In most cases, 85% of hair is in this phase. This is a shorter phase which lasts no more than two weeks and allows the hair follicle to renew itself. While the majority of your hair is in the anagen (growing) phase, the rest is in the telogen phase. This is when hair follicles remain dormant and can last from one to two months. When this phase ends and anagen kicks in, existing hair is pushed out by new growth and is naturally shed. What does it all mean? For those with male pattern baldness, it means that hair follicles grow smaller, and the anagen phase is reduced. In turn, the hair’s maximum length is reduced, while the telogen phase is extended. Eventually, the scales are tipped in favor of the telogen phase. There’s no real hard-and-fast timeline for hair loss other than risks of experiencing it are typically proportionate to your age. 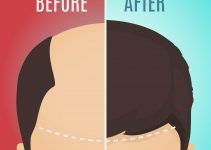 It can basically begin any time after puberty, with your chances of hair loss becoming greater as you grow older. We all admire the man in his 80s who still has a great head of hair, primarily because he’s an exception to the rule in his peer group. OK, getting back to our earlier point of blaming your hair loss on something like stress (demanding spouse, maddening kids), wasn’t actually that far off-base. But experts say that stress will usually cause only a temporary hair loss – if at all – before it begins to grow back. Even seasonal hair loss is possible, such as during the early winter months of October, November, and December. Sun and heat can also damage hair by causing sweating, which removes the oily coating that protects hair follicles. But, again, this is usually a temporary condition. Research has shown that smoking can also contribute to hair loss, which is no big surprise when you consider that the toxins in cigarettes negatively impact every area of your body. Studies have shown that men who smoke 20 cigarettes or more a day are more likely to experience hair loss and baldness than those who don’t. From a scientific standpoint, it all makes sense because smoking negatively affects your circulation, and that means less blood flow to the hair follicles. Plus, smoking leads to a variety of nasty diseases that contribute to hair loss. Oh, and smoking has been shown to increase the aging process, and we’ve already discussed how aging impacts hair loss. Unrestrained alcohol consumption affects the levels of estrogen and zinc in the body, which subsequently affects hair loss. Estrogen levels are raised while Zinc – an essential mineral for growing hair – is reduced. In addition, folic acid levels can also be reduced, and folic acid is important in helping you maintain healthy and strong hair. Experts agree that maintaining a healthy diet is good for hair growth. The right mix of protein, iron and other nutrients (we’ve already mentioned zinc and folic acid) can help you maintain a healthy, full head of hair. Consider a single strand of hair: it’s made up mostly of protein. It only stands to reason that the proper mix of protein in your diet will promote healthy hair. If you don’t get enough protein, then a greater amount of your hair will go into the resting phase. Not getting enough iron in your diet can also lead to hair loss. Of course, it’s well-documented that chemotherapy drugs used for treating cancer cause hair loss. Chemo drugs kill rapidly-expanding cancer cells but also attack other cells in your body, including those which cause hair growth. Fortunately, most hair loss associated with chemotherapy is temporary. As you can see, the reasons you’re going bald are many, but with genetics, age and hormones playing major roles. Genetically speaking, we don’t have a lot of control over what our parents gave us. But we also know that other factors can accelerate hair loss, factors which we do have some control over. Yes, bald is beautiful. But only if you don’t mind being bald. 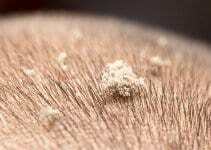 Hi , i am 27 years old and I loose my hair on regular basis, i have got oily skin and my scalp turns oily if I dont take shower the next day , i am worried about my hair. I dont know what to do with it. I have consulted many doctors, they says it’s all about genes, but my dad said he was 17 when got bald, but i am almost going 28. But i have good hair but it looses . Do give me a good idea to make my hair strong. 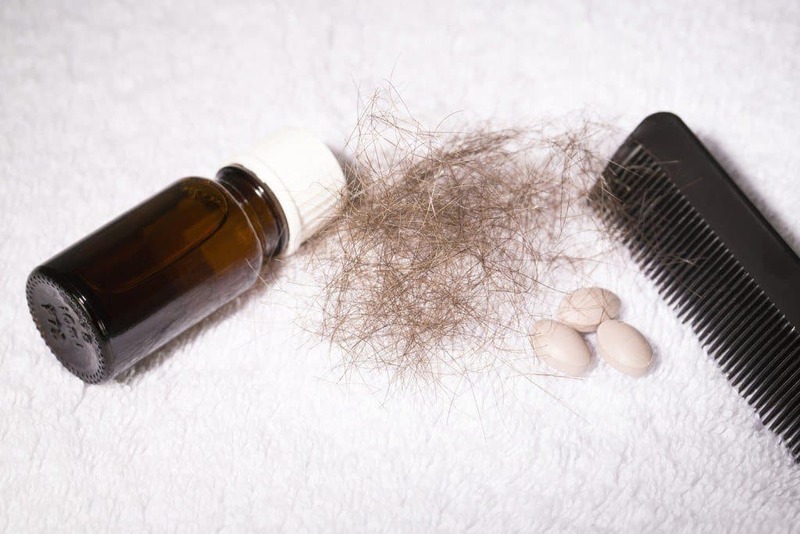 You should check out our article on how to stop hair loss. If you feel your condition is serious you should better see a dermatologist. Exactly. Women don’t need as much testosterone as men and were usually gatherers in the hunter and gatherer society. After menopause women often start to lose hair, grow facial hair and produce more testosterone and so.. becoming more manly and probably did more masculine stuff and functions in society as well. Just theorizing.